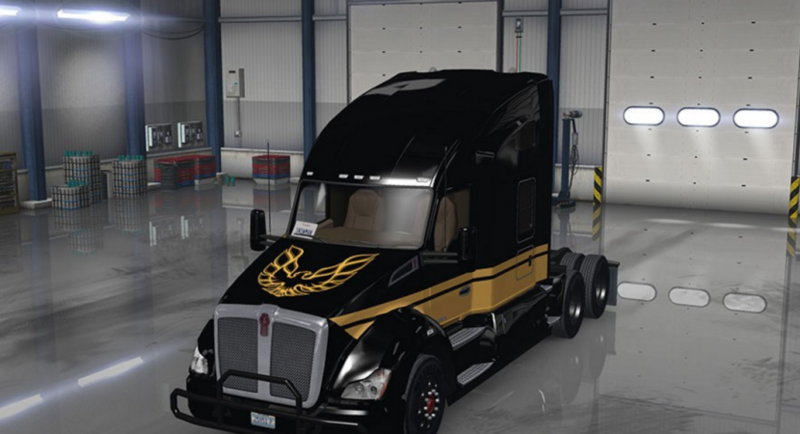 A Smokey and the Bandit Skin for the Kenworth T680. The Skin and the Mudflaps will be unlocked at Level 10 und can only be used on the Mid Roof and Hi Rise Sleeper on the Kenworth T680. – Do not upload my mod/skin without my permission! – Do not modify my mod/skin expect for private use only (just for you)!